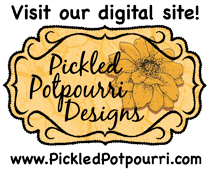 Instead of a photo, I decided to feature the Dream Cling Mounted Rubber Stamp from Red Rubber Designs on this layout, using some of my favorite colors! 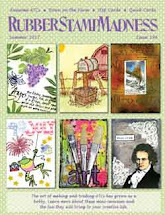 The main image was stamped with black permanent ink onto watercolor paper that I colored with Lindy's Stamp Gang Magicals. 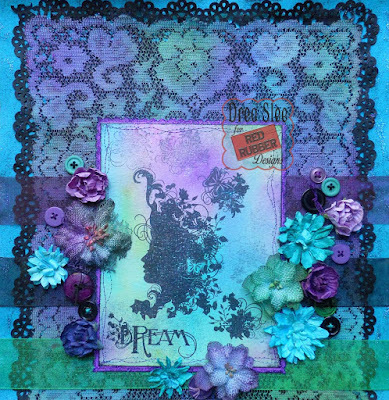 I used all of stamps in the Dream set, fading some of the flower images into the background. Then I applied Mermaid Stickles over the darker black stamping, and Purple Stickles to the cardstock behind the image. To add even more shimmer, I machine stitched the layers together with metallic purple and teal specialty threads. I used the same Magicals to color a piece of old lace, and glued it onto blackcardstock, with some punching around the edges, along with Black Stickles. Again I used my Magicals to color all of the flowers, except for the purple roses, adding some buttons in between. I used strips of purple, black, and green sheer ribbons across the bottom, to allow the lace to show through. Turquoise Stickles were added to a greenish teal cardstock, used on the bottom layer to bring out all of the other colors. This is Beautiful! Gorgeous layout in this color combo! You featured the Dream stamp beautifully!